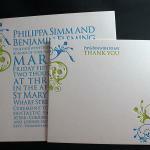 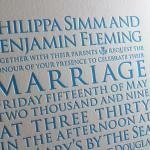 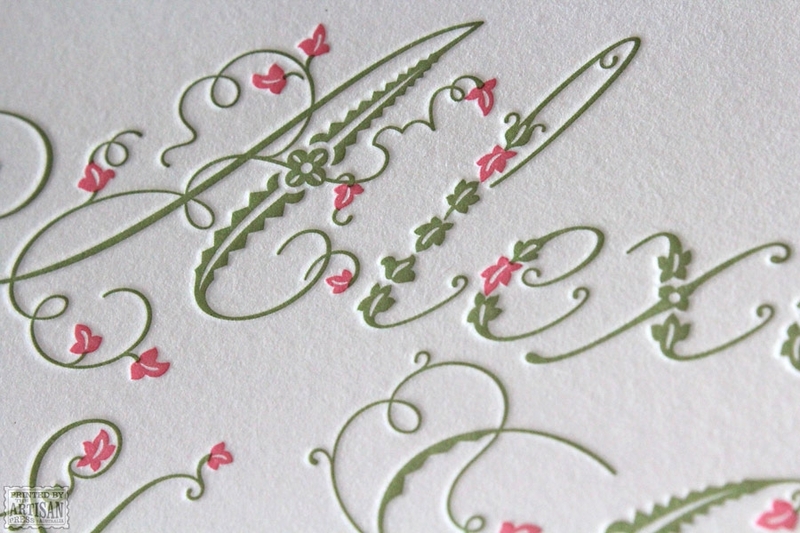 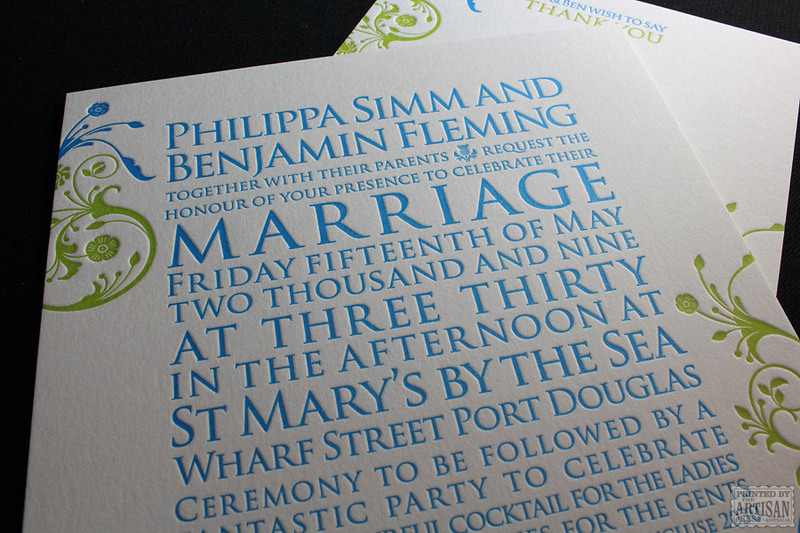 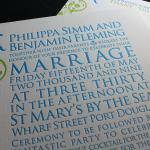 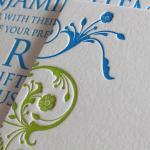 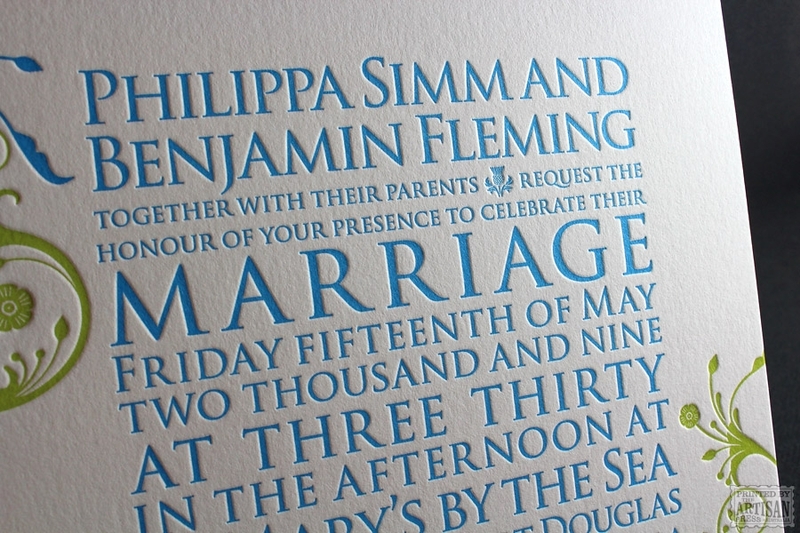 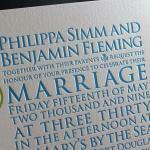 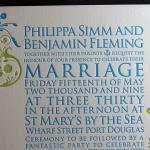 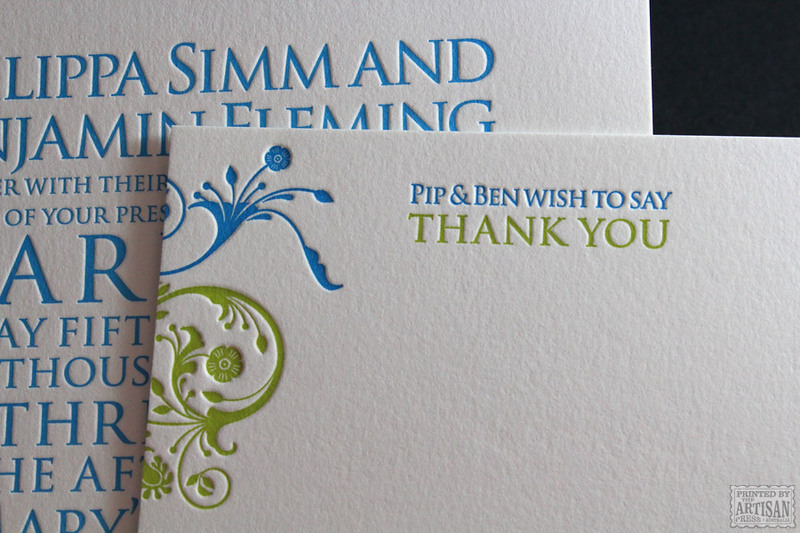 A bold and bright letterpress wedding invite setting the mood for a celebratory seaside soiree! 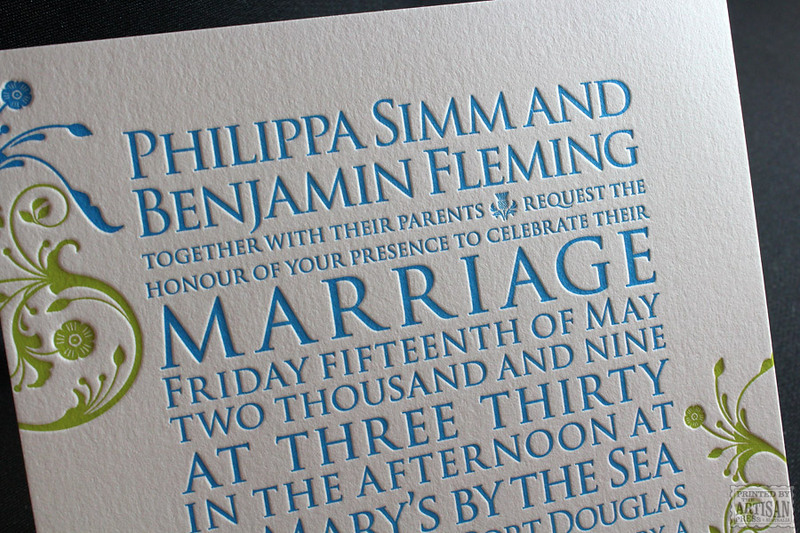 This unique invitation design from The Artisan Press can be customised to include the bridal couple’s choice of flower and colour scheme. 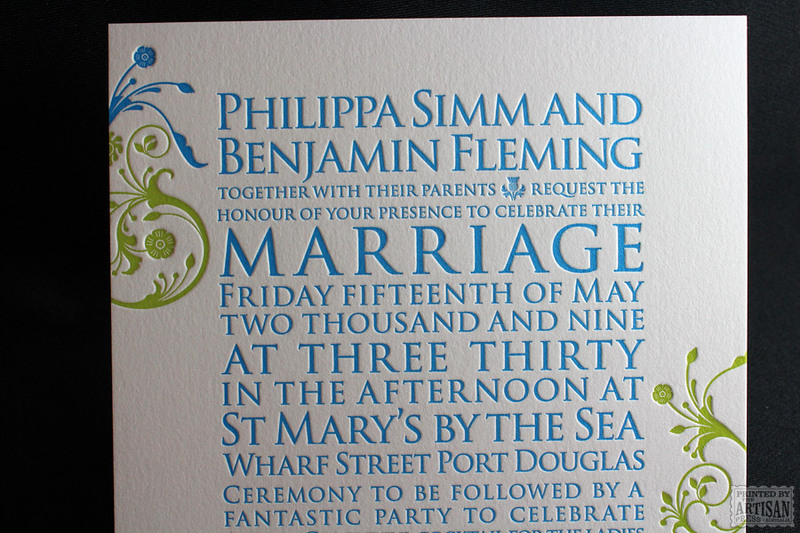 Personal, striking and tastefully themed. 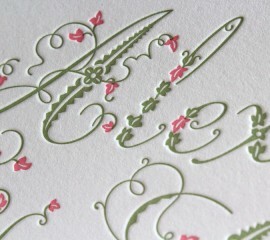 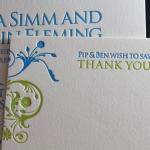 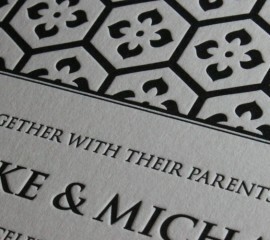 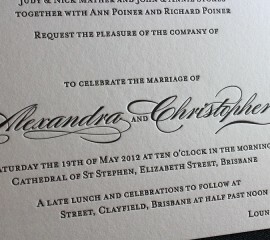 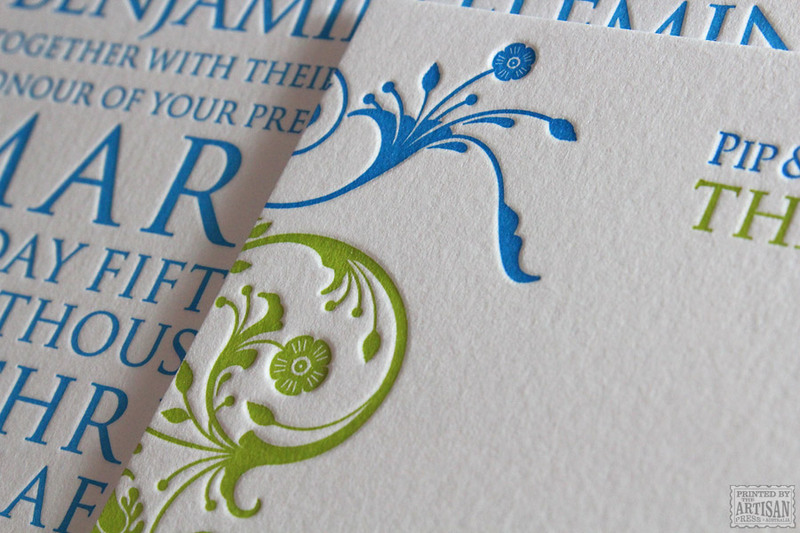 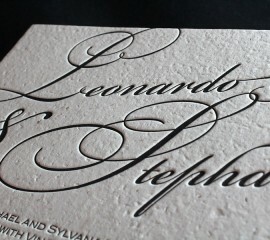 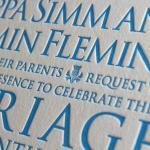 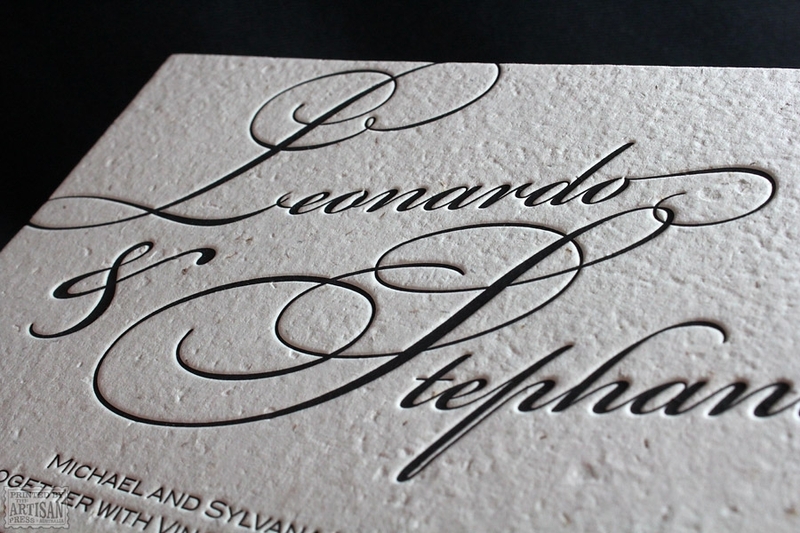 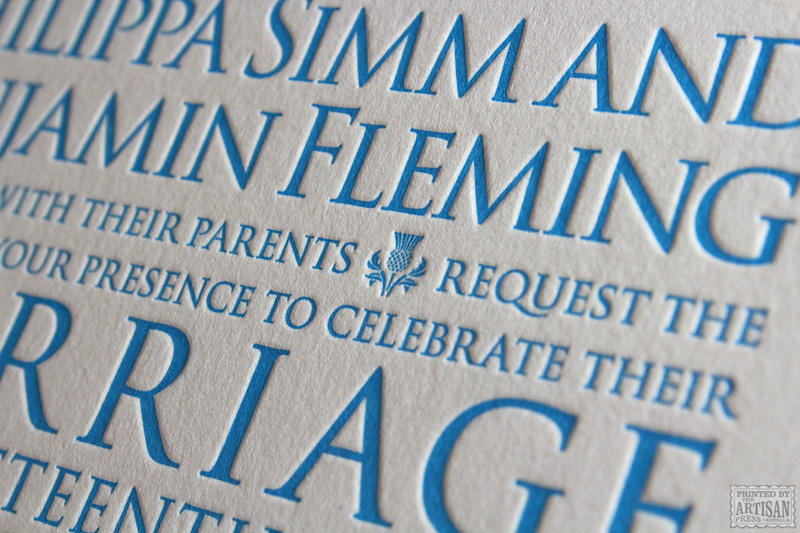 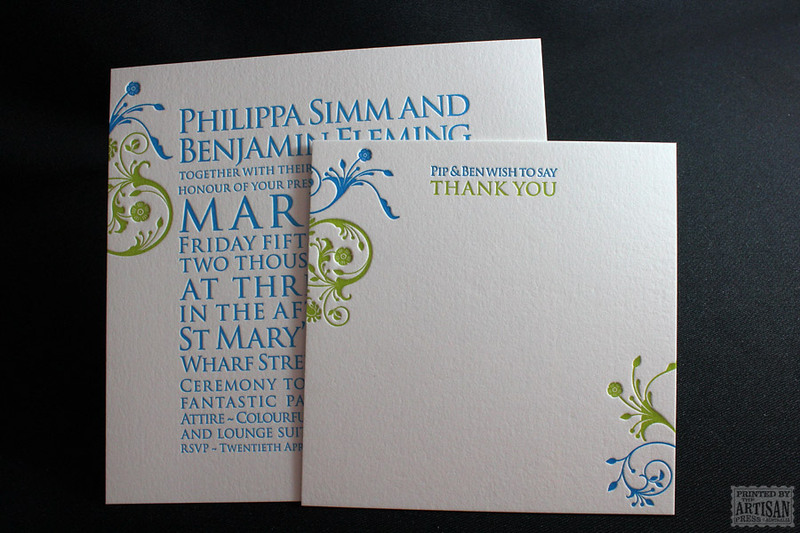 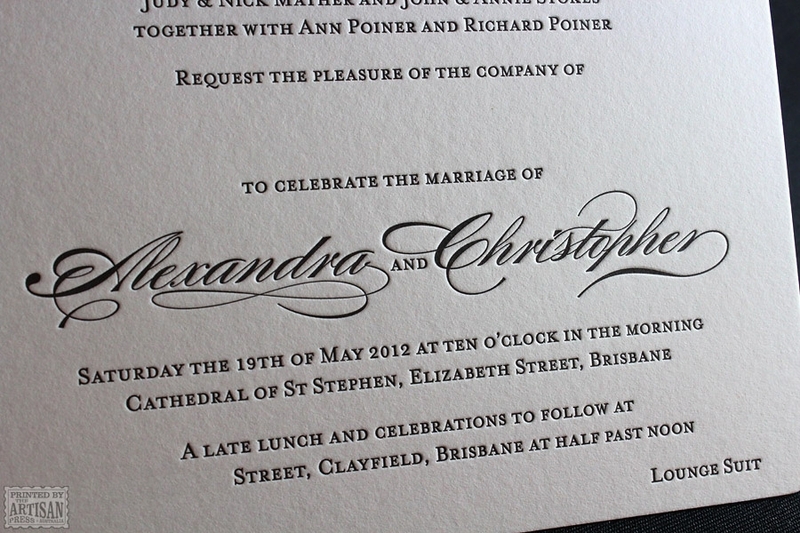 A fine example of our handcrafted and custom letterpress printing that has been inspiring others for years.